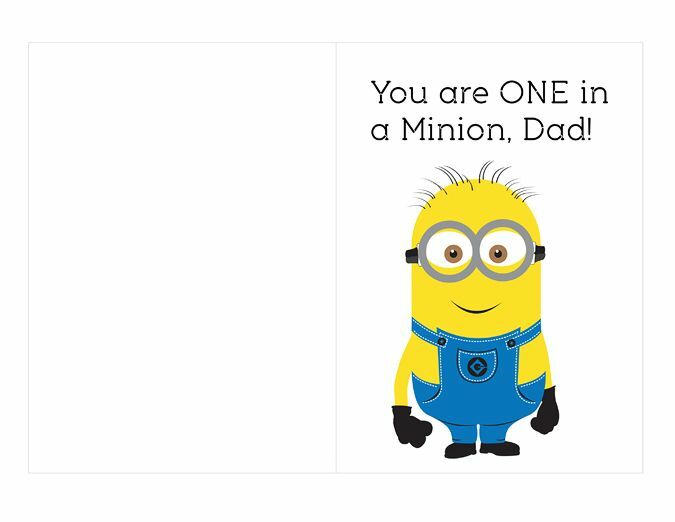 My boys LOVED "making" these cards for their daddy this year. Never mind that we did it at almost the very last minute! I loved that it was super-simple and did not actually require a lot of "making!" 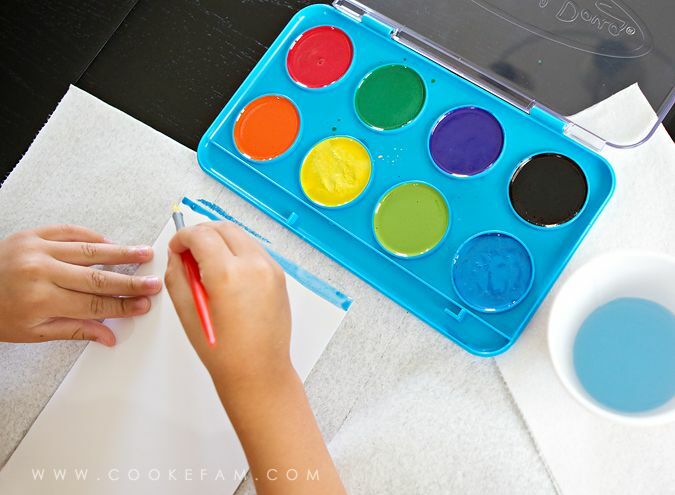 I just had the boys use blue and yellow watercolor paints to make a background on the front of their cards. 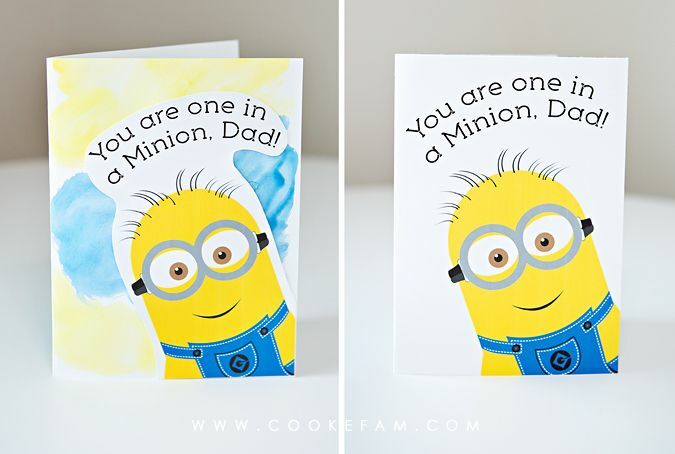 Then, I printed the cards out and cut out just the Minions and the words and glued them on the front of their (dried) cards. When that was done, the boys wrote/drew their own messages on the inside of the cards. 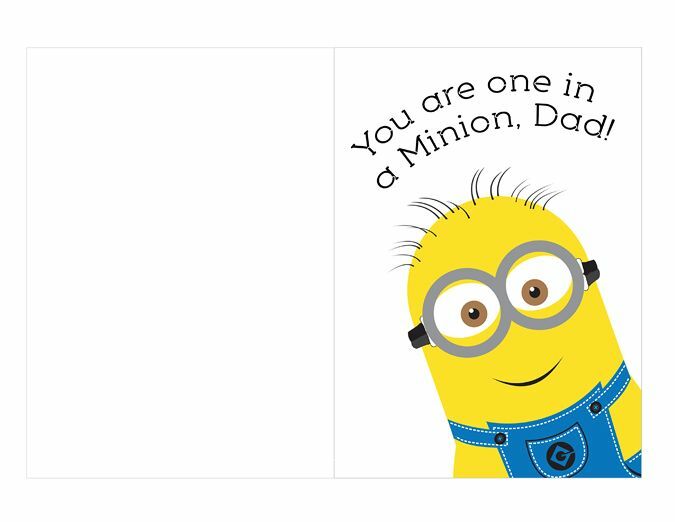 You can either print them out, cut out the entire card on the grey line, and fold it in half...or do like I did and just cut out the Minion and words. Then you can glue it on your own background or design.